Fernando Alonso has been declared fit to take part in this weekend's Chinese Grand Prix after passing medical tests following first practice. The McLaren driver, who broke rib in a 180mph accident in the Australian GP last month, had been given provisional clearance to race on Thursday. But he was passed fit by doctors ahead of Friday's second practice. "The pain is manageable and there is no other risk to be in the car," he said. 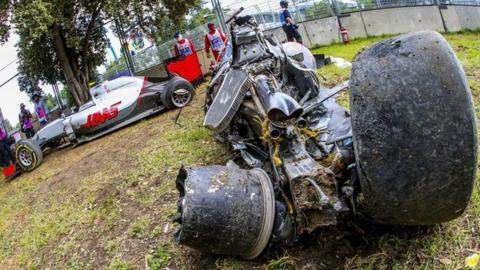 Governing body the FIA said Alonso had been told to "stop his car immediately in case of any abnormal symptoms". The FIA medical delegate Jean-Charles Piette barred Alonso from racing in the second race of the season in Bahrain two weeks ago because of his injuries. But the double world champion said he felt "good", adding: "I have a little bit of pain. The rib is a bit fractured so that is normal.
" I missed the feeling of being in the car. Even if we are not super-competitive, I love what I do."